Every child deserves the chance to ride a bike. Riding is a fun, low-impact way to get outdoors and stay active. It helps maintain good physical wellbeing and mental health as well as being a great opportunity for socialisation with family and friends. Each Freedom Wheels bike or tricycle is custom tailored to the rider’s height and weight as well as physical and cognitive abilities. 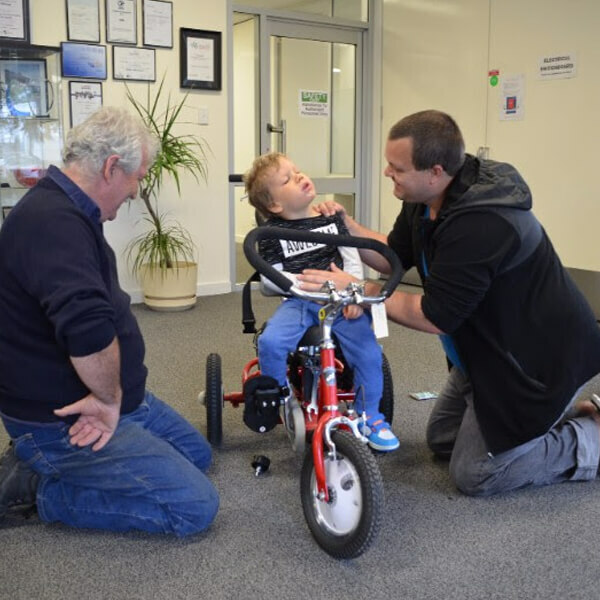 Our Occupational Therapists and experienced bicycle technician work with you to specify the appropriate customised supports to give your child with disabilities the confidence and freedom to ride. Outriggers to provide stability. They are wider and stronger than training wheels and much more flexible, for a smoother, quieter ride. Footcups and toe clips to your child’s feet and keep them on the pedal. Ankle Leg Supports to provide lower limb stability. Custom handlebars designed to give your child the best posture and easy steering. Hand mitts to grip the handlebar. A towbar for you to pull and steer the bike. These can also be fitted with brakes for additional control. 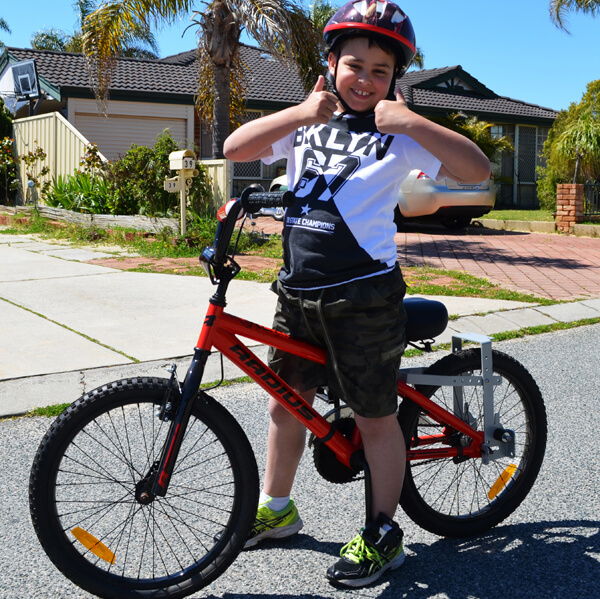 Step blocks help to make mounting the bike easier for both you and your child. Attendant steering with brakes, so you can control the bicycle from behind if your child lacks the motor skills to steer. The support devices and the braking set-up prescribed by our therapists ensure your child will be safe and comfortable. Watch the video on this page to see some of the customisations possible, then get in touch to discuss your requirements.